Annie Wright sophomore filling up buckets on the court, excelling in classroom. Julianna Walker averaged a state-high 33.9 points per game this past season for Annie Wright. Her coach calls her a generational player and excels in the classroom in addition to her prowess on the hardwood. Annie Wright (Tacoma, Wash.) girls basketball coach Dante Jackson calls Julianna Walker a generational player. The sophomore can score, averaging a state-high 33.9 points per game this past season. She helps her teammates, averaging 4.8 assists per game, which was sixth best in Washington. She also plays great defense, averaging a state-leading 6.7 steals per game. "She's so unassuming, you would never know she has this basketball talent," Jackson said. "Just a great girl altogether." Walker just goes about her business on the court. Away from the game, the sophomore is a sound student at a rigorous academic institution. 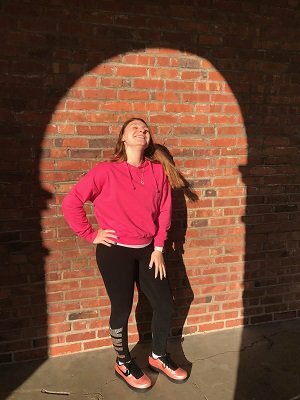 She also enjoys getting out into her community and volunteering. When her attention isn't focused on academics, Walker has a basketball in her hands. When it's basketball season, Walker is concentrating on improving her game. During the offseason, she puts up 500 shots per day. All the work that Walker puts in has made her an exceptional player. "She's fearless," Jackson said. "I have daughters myself and I always tell them it's not magic how good she is, she puts in the work. She's a gym rat. When the games come, it's virtually easy because she's put in the hard work before and after. That's what I think separates her." It's hard to fathom that Walker's sophomore campaign wasn't as eye-opening as her freshman year. In her first season at Annie Wright, Walker tallied 35.2 points, 9.3 steals and 5.9 rebounds per game. As a sophomore, Walker drained 166 3-pointers, 6.1 per game, converting at a 43 percent clip. taking all honors and AP courses. "Her scoring overshadows everything but she's a good all-around player," Jackson said. "Her defense especially gets overlooked. I think she averaged like eight steals a game, which is insane. She's had multiple games where she's had 12 steals. I do a lot of the numbers myself on MaxPreps, so I kind of know what she's got. It amazes me." In just two years as a varsity player, Walker already has 1,585 career points. Scoring has always been her thing dating back to her days playing with on boys teams. "It's always just been natural for me but I also like to get assists and steals and stuff," Walker said. "I'm kind of an all-around player. I'm not just focused on scoring." Walker, who had seven 40-plus-point games this season, shot 49.4 percent from inside the 3-point arc and was an 80 percent free throw shooter. As the team's point guard, the ball is always in Walker's hand. At just 5-foot-6, she's gotten exceptionally good at creating her own shots off the dribble. 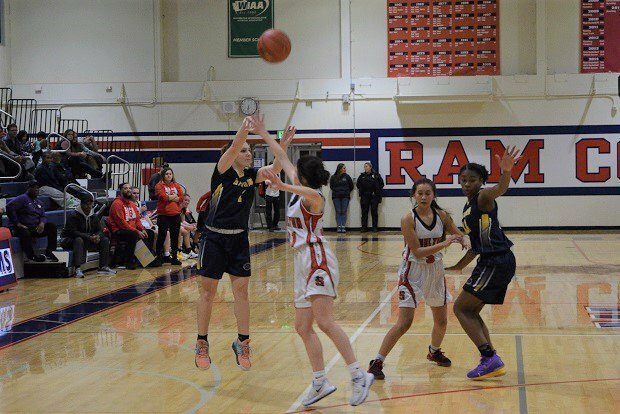 "I have a really good jump shot," said Walker, who noted she was named the Tacoma Athletic Commission state Player of the Year for the second straight season. "Most people want to guard me out super far (out) and that just gives me a chance to get to the lane for a layup." Jackson tries to get Walker's teammates to set as many screens and pick-and-rolls as they can to free up the scoring machine. Because Walker is such a dynamic scorer, opposing coaches try everything to shut her down. "She faced junk defenses all year geared to stop her — double and triple teams, box-and-one, a triangle," Jackson said. "You name it, she faced and she still put up those points. That was the one thing I was impressed with. I just got done watching the season, she saw a constant double and most of the time triple teams." In a season-ending loss, Walker was held to a season-low 11 points. But that wasn't before Walker helped Annie Wright make history. The school won its first state tournament game. The school has been around since 1884. That was an important feat for Walker as Annie Wright placed eighth in state in 1A. After having two great seasons, the 16-year-old has started attracting interest from some of the top college basketball programs in the country. According to Jackson, Texas Tech and in-state Gonzaga have been tracking Walker since Day One. 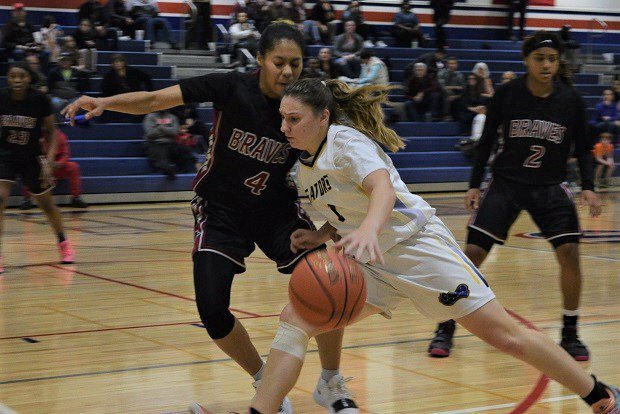 She's taken unofficial visits to Oregon, Oregon State and Washington but she's really interested in the Big 12 and has Texas Tech as her front-runner. Walker is looking to get into a good academic institution. She has a 3.4 grade point average at Annie Wright, which is an extremely prestigious school that features the International Baccalaureate program. "It's kind of the whole reason I chose Annie Wright," Walker said. "It's an IB school and there's only a couple in the country." All of Walker's high school courses are honors and Advanced Placement. She's challenged every day in the classroom. Walker takes part in the Black Student Union Club at her school, which does some volunteer work in the community. One of the most recent activities was running a food drive to donate to a local pantry. This past season, Walker was a volunteer coach for the girls basketball program at her former middle school. "The nonprofit down here that helps out a football team, I saw her being like a manager with a young football team," Jackson said. "Then she was also part of the African American club at her school, so she's active at school with a couple different clubs. She definitely is a good student." Walker is always trying to do the right thing on and off the basketball court. She knows she's a role model to younger athletes and she wants to show what a great student-athlete is all about. "A lot of kids look up to me," Walker said. "This one lady said that her daughter started going to the gym every day because I did and she just wanted to get better. She said that her daughter's team all looked up to me. I was like, wow, this feels good." If Walker keeps averaging 35 points per game, she's going to have more young girls basketball players looking up to her in Washington and around the entire country. Know an incredible student-athlete who stands out in sports and in life away from competition? Click here to nominate them for a chance to be featured on MaxPreps. The 16-year-old has started attracting interest from some of the top college basketball programs in the country, including Pac 12 and Big 12 schools.